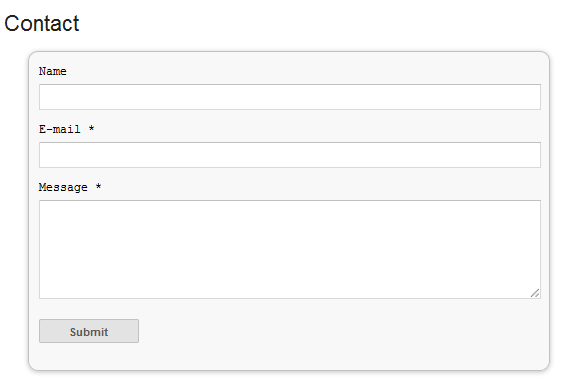 Just a few days ago, Blogger introduced a new contact form widget that you can add to your blog easily. At the moment, it is very basic because, at least for now, does not allow sending files or anything other than plain text. The design is simple and the text colors inherit the section where you add it. At the moment, this widget has no configuration options and is not available for dynamic views. To add it to your blog, just select the Layout tab, then click on "Add a gadget" in the section you want to show - for example, in the sidebar. 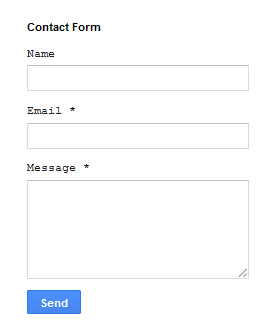 Then, select the More gadgets tab and add the Contact Form gadget. Messages will be sent to the same email that you have registered in Blogger. Here is the demo page where you can test it (this is an account for demo purposes only, so don't expect any reply). That's it! If you have any questions or comments, leave them below.